With more than 200 hundred wineries situated within a 75-mile radius of the state Capitol, Sacramento can lay claim to being a “farm-to-glass” capital as well as a capital of farm-to-fork cuisine. If you’re exploring the downtown area, pop over to Downtown & Vine, settle into a dog-friendly patio table and get familiar with some regional labels. This combination wine bar/restaurant focuses on produce from 12 wineries in four nearby wine-growing regions, available by the glass or flight. Its inventory includes many other California labels, a selection of international wines, on-tap beers from a dozen craft breweries and locally sourced small plates and flatbreads. 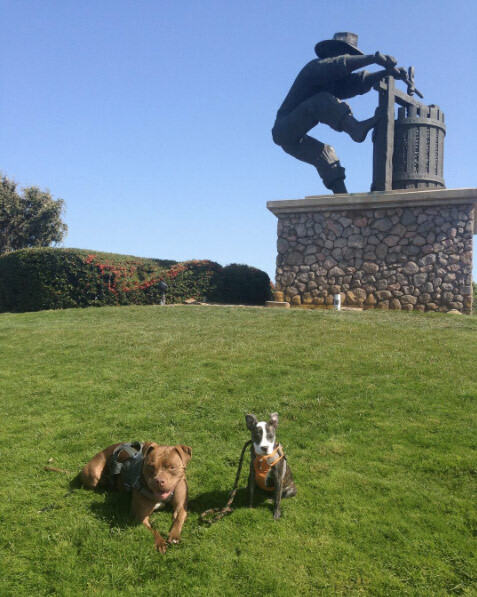 The capital city’s two urban wineries, Revolution Wines and Cabana Winery & Bistro, also offer dog-friendly seating, delicious chow and small-production wines that you won’t find anywhere else. Revolution shares its outdoor seating area with a Temple Coffee roasting facility from which glorious aromas emerge. Seats fill fast on warm evenings, so get there early to snag a table with your best friend and enjoy tasty small plates or larger entrees matched to your wine selection. At Cabana, eight varietals and blends are showcased, along with a light menu featuring tapas, salads, panini and quiche. 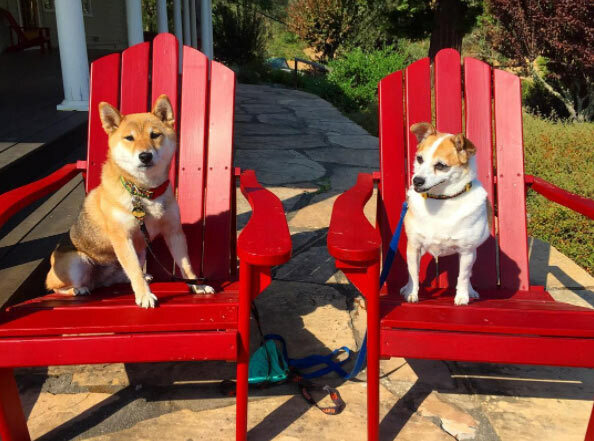 Just south of town, on River Road, Scribner Bend Vineyards near the Sacramento River sets up an outdoor tasting bar in warm weather along with plenty of chairs where dog people can lounge with their pets by their sides.